Microsoft Certifications are not new and they are one of the highly recognized Certifications in the world today. Innovations at Microsoft is now occurring at a rapid rate to address the needs of today's Technology at every level. Having a Microsoft Certification puts you one step further in to this new era. Microsoft team launched their "Microsoft IT Academy" and "Microsoft Certification Challenge" programme to assist Students and IT pros who are interested to become a Microsoft Certified Professional by providing adequate guidance and to motivate people to get certified and excel in today's Technology. 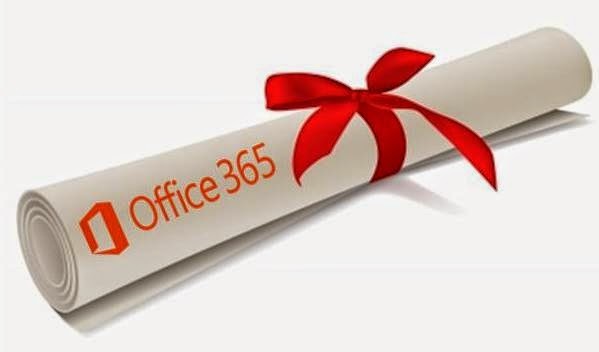 Lets get in to our topic for the day, I wrote this post to share some vital resources available to become a Microsoft Certified Solution Associate - Office 365. These resources are helping me to get prepared for the exam, which I will be completing soon and thought of writing this post today to guide other aspiring individuals like me to get certified with Office 365. Being a Office 365 Consultant and an Administrator for awhile now supporting major customers, I can very well say that to be inline with the future of Microsoft Technology you need learn and get to know how to work with Office 365. Many Major Organizations are moving to Cloud and its evident that within few years you will see Cloud occupying a huge area in Technology and people who know and work with Cloud get employed everywhere and get recognized, this doesn't mean that On premises Environment is no more. Cloud is a new emerging Technology which everyone need to be aware of and start to experience its benefits and earning a certification on this new Technology takes you to the next step. As everyone aware that Microsoft team recently changed their Certification path and Introduced their new Certification programme like MTA, MOS etc. and also Revamped the MCSA and MCSE Exams to the next level. For our topic lets begin by understanding the Certification path available for MCSA Office 365. As with every other Microsoft Certifications, Instructor Led training is available for this course to get prepared. Review the certification details for more information. Next, Take a look at the Exam Prep video session from Microsoft hosted recently in Teched NA 2014 covering key aspects over the Examination which gets you and Idea on how the Exam will be and makes you ready to attend the same with confidence. Once you gain some insight on the Examination, Its time for us to begin our Learning with the available resources. I am sharing the resources that I use to get prepared one by one, There are more than this and these a few vital resources to my knowledge that helps you get prepared. 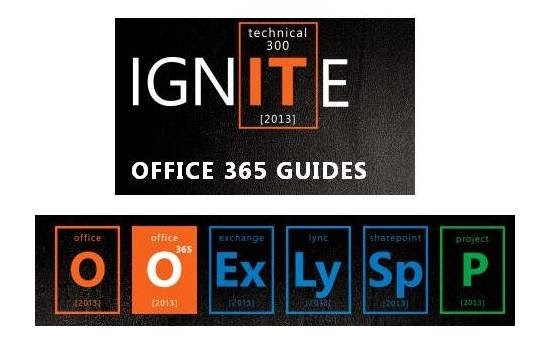 Apart from the Instructor led training mentioned above, Microsoft team has provided us the real time walk-through guides to learn their Technology and Experience the real time deployment and Administration via Office Ignite Guides. You can utilize this as a first resource to experience Office 365 Deployment, Migration and Administration. Up Next is the new Microsoft Virtual Academy course launched recently to get you prepared for the first Exam "70-346 - Managing Office 365 Identities and Services"
Next is your TechNet and Office Blogs which plays a major role and I believe everyone begins learning here, So I made this as the last item and included here along with other vital resources mentioned above. Microsoft now made these important resources available under a single window in Office TechCenter for your ease of Learning. A new add-on to the above resources from Microsoft team taking Office 365 Learning to the next level through live video series every week which is going one step further and updates us more on the latest happenings with Office 365. Watch out Office blogs updates on the new series every week and stay updated with the latest happenings with Office 365. You can setup your Office 365 Trial tenant and have hands-on experience using the available resources before you appear for the Exam. Finally, Its always good to learn from External resources, by saying this I refer to some of the Key websites, Blogs and Forums available in the Community from various MVPs and Technical Experts across the Globe who share their expertise in Office 365 Technology which puts you ahead of your Learning to know more and stay up-to date. Refer this below Blog post related to our topic for example. Follow Office 365 Tech in twitter and Office 365 IT Pro Network in Yammer to get real time updates from Microsoft on Office 365. Here is the New update from Microsoft team announced yesterday, MCSA Office 365 will now get credited towards your MCSE certification path for Exchange, Lync and SharePoint. *Also Microsoft team recently changed their Exam provider from Prometric to Pearson VUE and from September 4 2014 you can choose any of these Exam providers and effective January 1 2015 you need to register with Pearson VUE to register for the Examination. *Get 15 % discount on MCP Exams till this year end, register to save the date. *Get a free Second Shot on your MCP exam !!! You can take any Microsoft Certified Professional (MCP) exam between January 5, 2015, and May 31, 2015. with free exam retake! Microsoft Certified Solutions Associate (MCSA) is eligible for this program and you are now all set to register and face the exam challenge. Access the new Exam prep guidance sessions from Microsoft Ignite Conference 2016. Be sure to know the latest Microsoft Certification updates and advance your learning path. I believe these resources mentioned above will assist you to get prepared for the Exam and I have utilized the same and completed my MCSA Office 365 Certification successfully. Happy Certifying !! !